What's the right to asylum as stated in the German constitution? Friedrich Merz, a candidate for the leadership of Germany’s biggest party - the Christian Democratic Union, has said that Germany is the only country in the world to guarantee the right to asylum in its Constitution. He’s called for a debate on the issue. But is Merz actually correct? German Chancellor Angela Merkel has announced that she will no longer stand as party leader of the CDU in December. Friedrich Merz is considered one of the three top candidates for the post. This week at a regional party conference, Merz questioned how German law handles the right to asylum. "Germany is the only country in the world that has an individual right to asylum in its constitution," Merz said. "For a long time I have been of the opinion that if we seriously want a European immigration and refugee policy then we must be prepared to talk openly about this basic right of asylum and whether it can continue in this form." But is Germany really different from other countries in this matter, and how exactly does the right to asylum work in Germany? The right to asylum for politically persecuted individuals is a fundamental right enshrined in article 16a of the Basic Law, Germany's constitution. 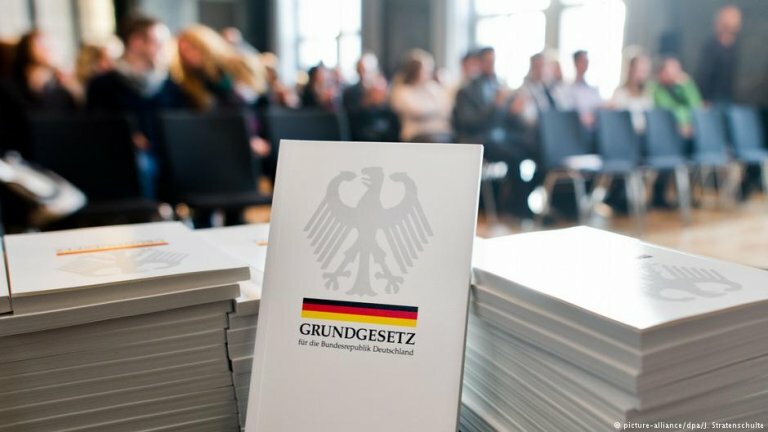 Legal expert and lawyer Utz Weber told InfoMigrants that the individual right to asylum was included in the German constitution after World War II because "the Nazi past of Germany demanded it." However, Utz Weber cannot explain why some German politicians call asylum laws in Germany "unique in the world." "Since the individual right to asylum in Germany is derived from the Geneva Refugee Convention and the EU Qualification Directive, German asylum law is not unique at all and it is also not much different to asylum laws in other European countries," Weber says. The German Basic Law article 16a only grants asylum for those who are politically persecuted in their home country. However, people can also be recognized as refugees under the Geneva Refugee Convention, which guarantees asylum to people who had to flee a war. The German authorities also issue subsidiary protection to people who could face danger in their home country and deportation bans. The Federal Office for Migration and Refugees (BAMF) decides whether an individual is protected and what type of protection he or she receives. Until June 30, 1993, everyone had the right to ask for political asylum in Germany under the Basic Law. That meant that asylum seekers could not be turned away at the German border. In the 1980s and 1990s, a large increase in the number of refugees led to an asylum debate in Germany. In the course of this debate, the constitutional right to asylum was significantly revised and restricted. The changes were supported by all the major parliamentary parties, including the opposition Social Democrats. In Germany, a two-thirds majority in the Upper and Lower Houses of Parliament is required to change the constitution. - People who have fled from or through a safe country. Asylum law expert Weber says the changes in asylum law in 1993 were so great that "asylum law has lost its original meaning to a great extent since then." In the first five months of 2018, the BAMF made a total of 97,024 decisions on applications for asylum, of which only 1,492 (1.52 percent) were granted recognition under Art. 16a. The vast majority of asylum cases are covered by recognition of refugee status under the Geneva Refugee Convention, the granting of subsidiary protection or a ban on deportation. Catherine Haguenau-Moizard, professor of public law at the Faculty of Law in Strasbourg, sees few differences between EU countries with regard to asylum in the constitutions and other laws. She says that "the way these laws are drafted and applied can rather vary from EU country to EU country." Haguenau-Moizard cites Afghanistan as an example because "this country is considered a safe country in Germany but not in France and the UK." When can refugee status or subsidiary protection be revoked? Could Germany's constitutional right to asylum be pruned?